The MFTHBA Board of Directors recognized the need for a registry specifically for Missouri Fox Trotting horses that are between 44 and 56 inches in height. In May of 2004, the pony registry was begun under the umbrella of the Missouri Fox Trotting Horse Breed Association. Tentative Registration: This category includes horses from foaling to the age of 5 and does not require an inspection. However, gait inspection may be performed at any time between the ages of 2 and 5 years. Height inspection, however, may not be performed until after the age of 5. To be eligible, the horse must have at least one permanent MFTHBA registered parent or two MFTPR registered parents. Tentative registration expires 6 months after the horse’s fifth birthday. Permanent Registration: To receive permanent registration, a height inspection must be performed by a licensed veterinarian on horses 5 years and older, and the horse must be determined to be between 44 and 56 inches tall. If not previously registered and inspected for gait under the tentative registry, the horse must also be inspected for gait and must demonstrate a fox trot. Once positive inspection has been completed, the pony is eligible for permanent registration. How is Gait Inspection Performed? 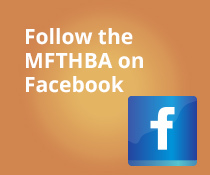 Applicants must submit a videotape of the horse performing the fox trot to the MFTHBA Board of Directors at the MFTHBA/MFTPR office, who will then evaluate the horse to certify that it is performing the proper gait. What happens if my pony does not meet the height certification at age 5? If a tentatively registered pony does not meet the height criteria, their papers become void and registration is revoked. Are Pony’s measured for height at the MFTHBA National Shows? Horses with tentative papers may be measured at MFTHBA shows to certify that they do meet the height requirements for the MFTPR. Who can enter Pony classes at MFTHBA sponsored shows? Only MFTPR registered ponies are eligible to participate in designated pony classes. The pony may be tentatively or permanently registered. Tentatively registered ponies may be height inspected prior to entering a class. Can a MFTPR pony enter non-pony designated classes? A MFTPR pony may enter any class at a MFTHBA sponsored show. They are not restricted to MFTPR designated classes. If my MFTPR comes from two MFTPR registered parents does that also make the pony eligible for MFTHBA registration? A horse may be double registered; however, to do so the horse must meet the registration requirements of each registry. The MFTPR registry and the MFTHBA registry are two separate registries with their own requirements. To be eligible for MFTHBA registration, a horse much have two MFTHBA registered parents. MFTPR registration does not meet this criteria.